The weathered wings of an aged willing worker. 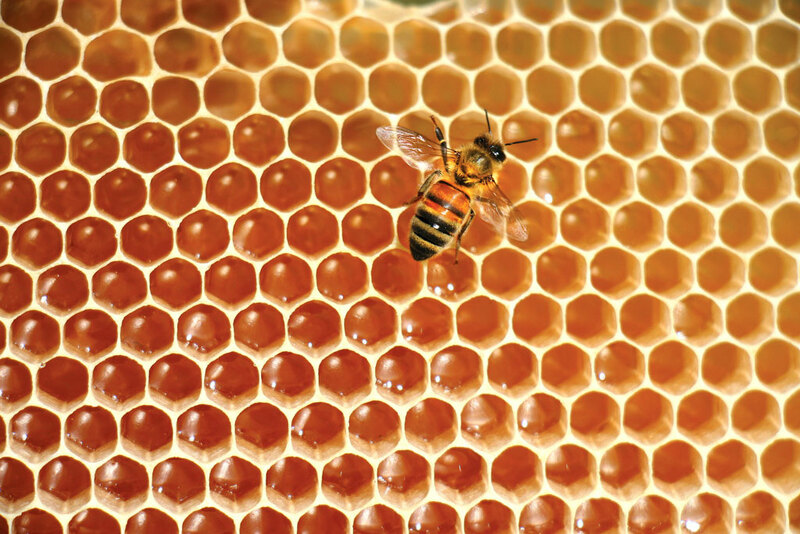 Worker bees have a last-task in their life, to go out into the environment and collect the bounty for the hive, until . . . well, until their wings wear out, or they become part of the broader food-chain. 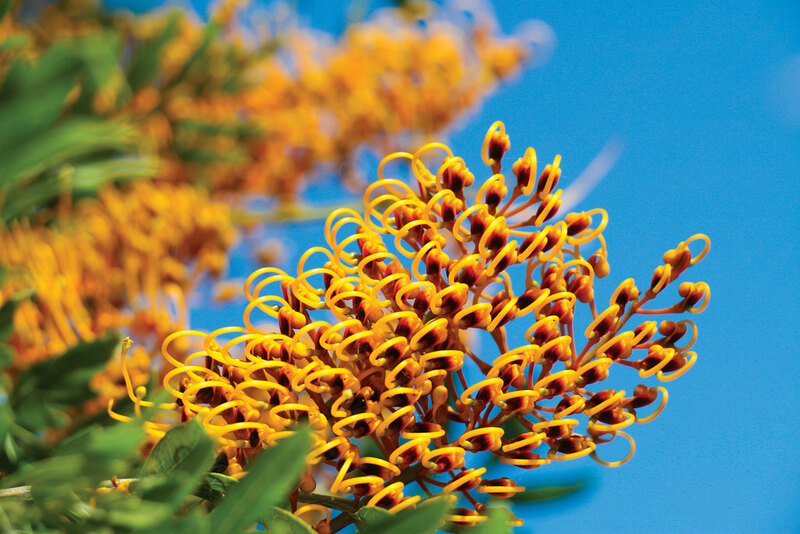 Classic ‘bee-takers’ are birds (myna, bee-eaters, drongo), lizards, cane toads or spiders (that lay in wait, hidden in the petals of the flowers). 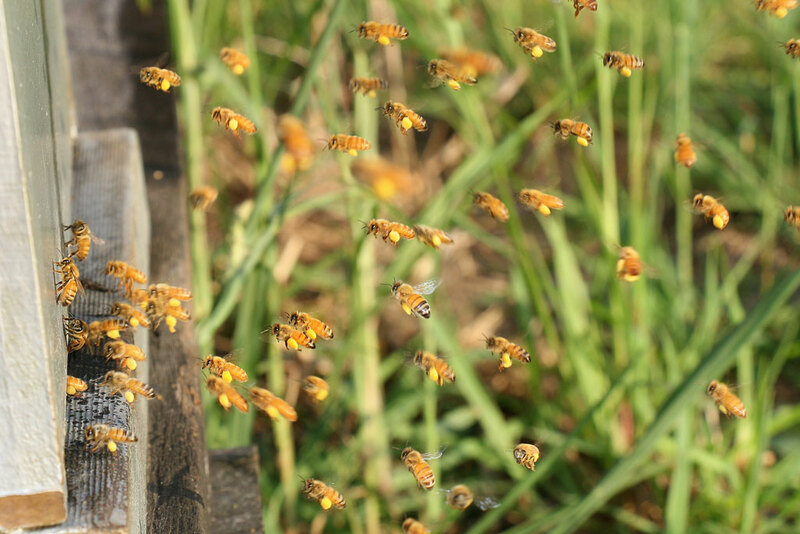 The birds will take the bees in-flight (on the bee’s return to the hive, due to the added value of the sweet nectar they are carrying). 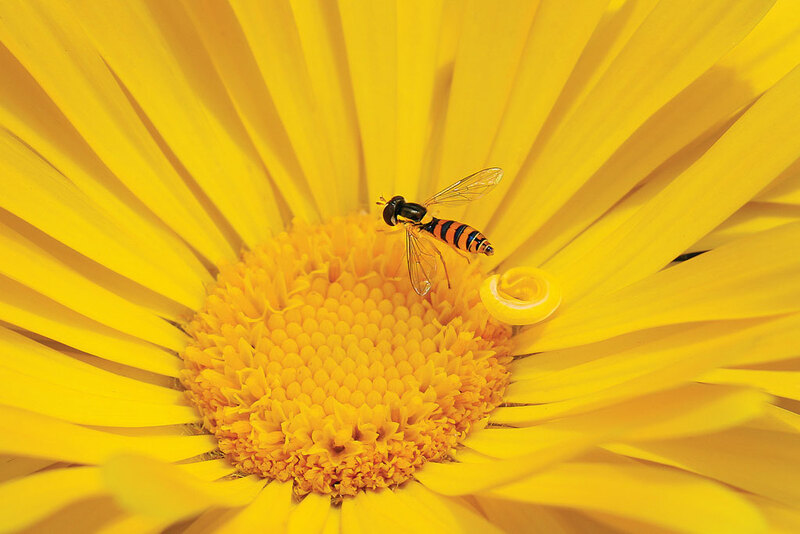 The Hoverfly, the forgotten pollinator. This stripped gardener’s friend is a wonderful, and oft-seen addition to our garden. 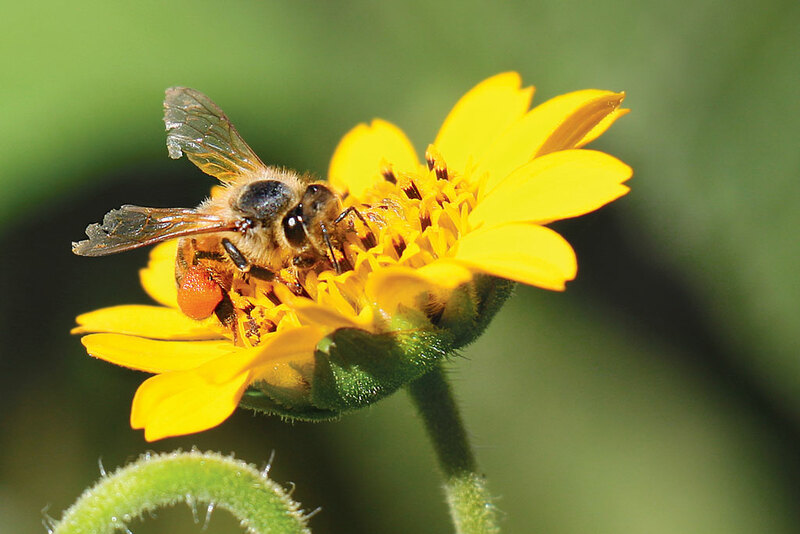 They silently perform the prolific task of pollinating. Zipping, hovering, darting. The hovering is hypnotic to watch. A much-appreciated companion in the flow of our Garden World. The Bembix Wasp. or Bee Botherer. 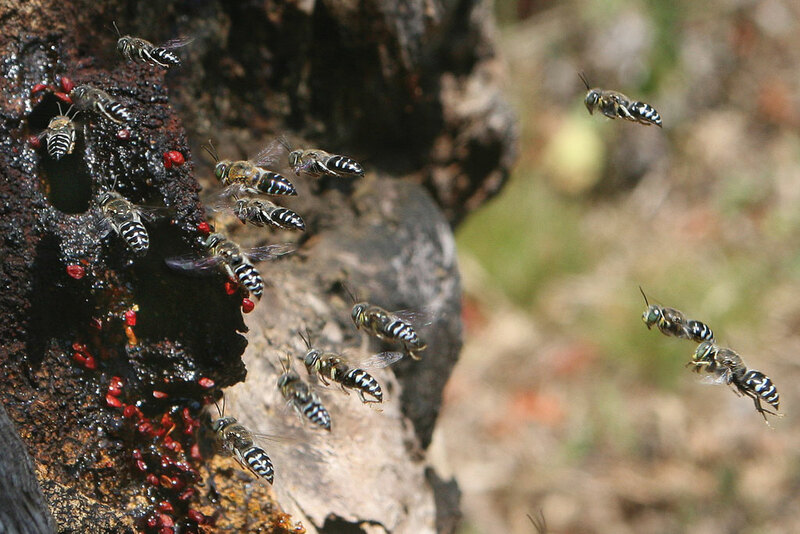 The Bembix Wasp will hover in front of the stingless hive entrance. As the bees emerge and fly off, the wasp will quickly follow and grab the bee. If the bee is a female, the wasp will release her unharmed (nature’s protection for the continuation of the species, perhaps). 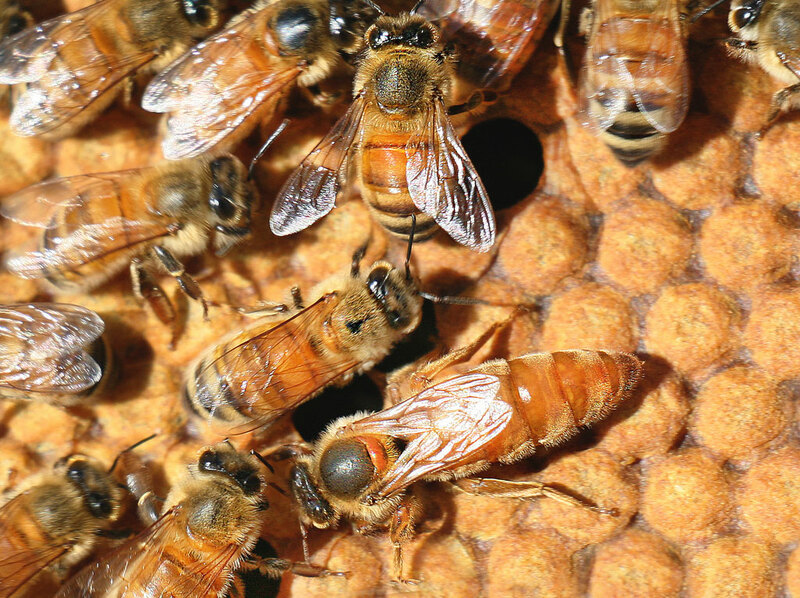 Captured male bees are taken to the Bembix nest, often in sand tunnels, to feed the larvae. The adults eat nectar. Let the bounty pour in. 5-45am on a balmy Summer morn. The first rays hit the front of the hive, and the field workers are pouring back in. Abundance abounds. I grab the camera, and line up for a shot. Placing my hand gently across the entrance, the flying workers cluster. After removing my hand, the bees magically stay put, hovering in mid-air at the hive entrance, poised. Click. 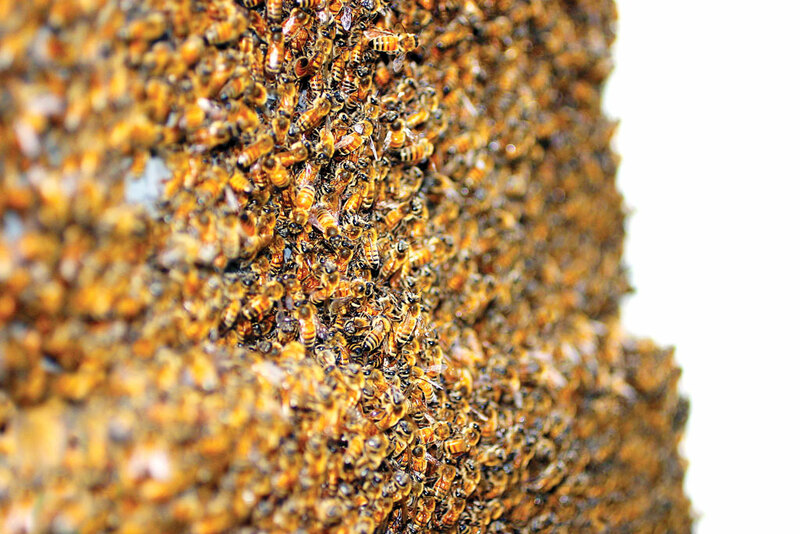 10 seconds later, the clustering disappeared, and the hive was back to normal. 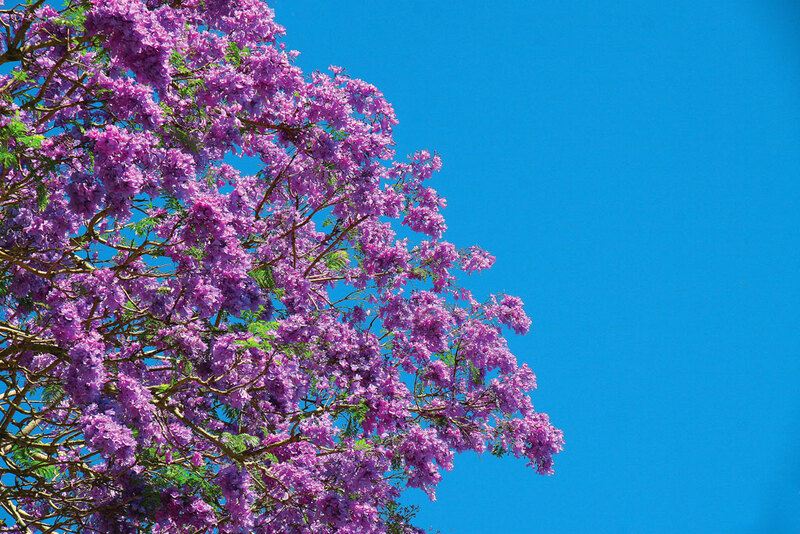 The November magic of jacaranda and silky oak. October, November. Best time of the year. The jacarandas in bloom, paired with the silky oak. Purple and egg-yellow pollen fill the frames. Nectar pours in. 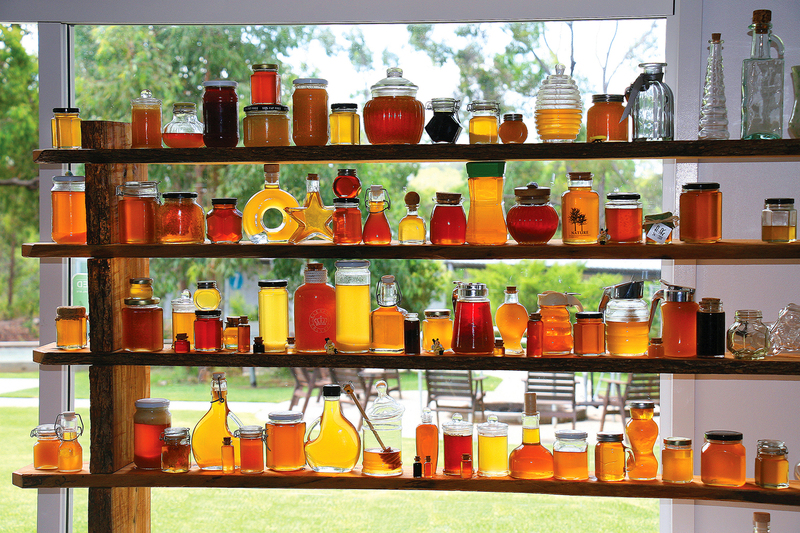 A magic time of year for bees–and beekeepers–to be alive! 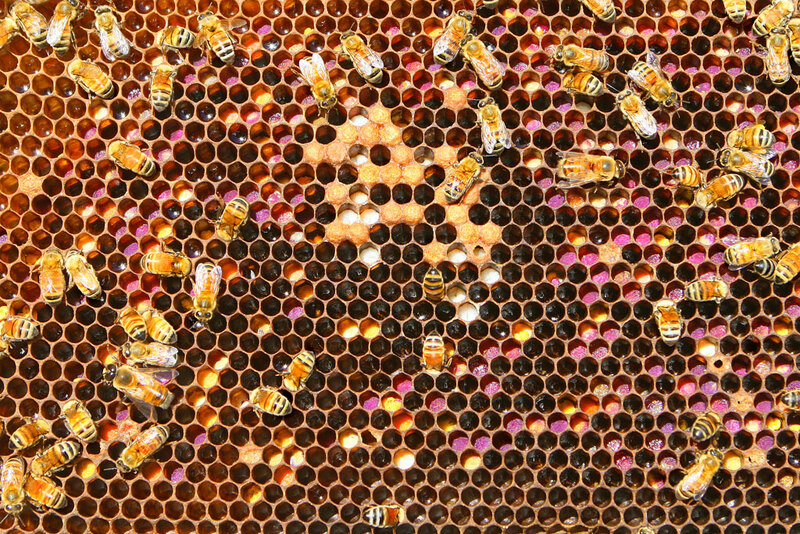 How bees see, and why it matters. 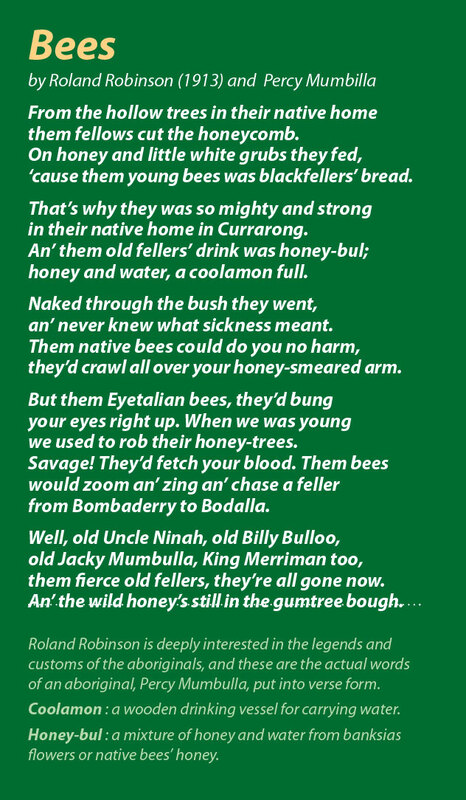 CLICK HERE for a bee-less digression. Can a single bee survive? CLICK HERE – our shelved collection at Kandanga. 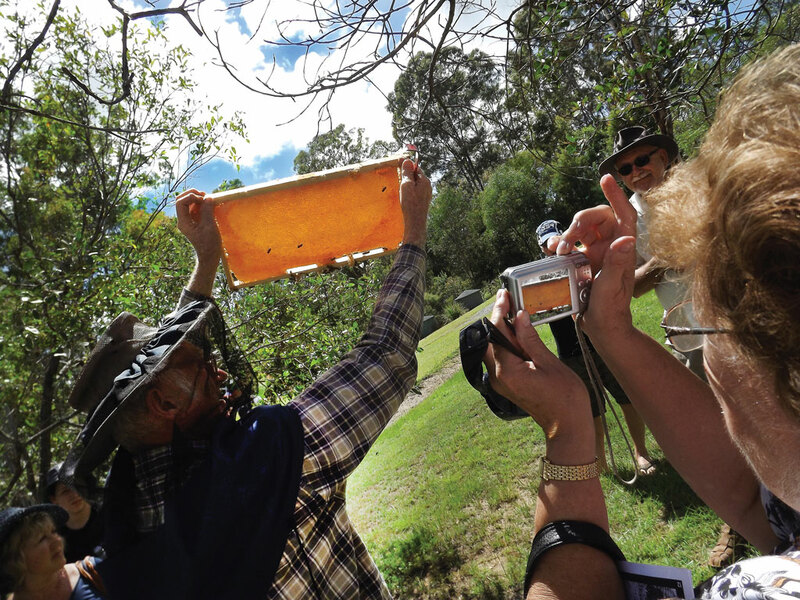 CLICK HERE – this is why we are beekeepers! 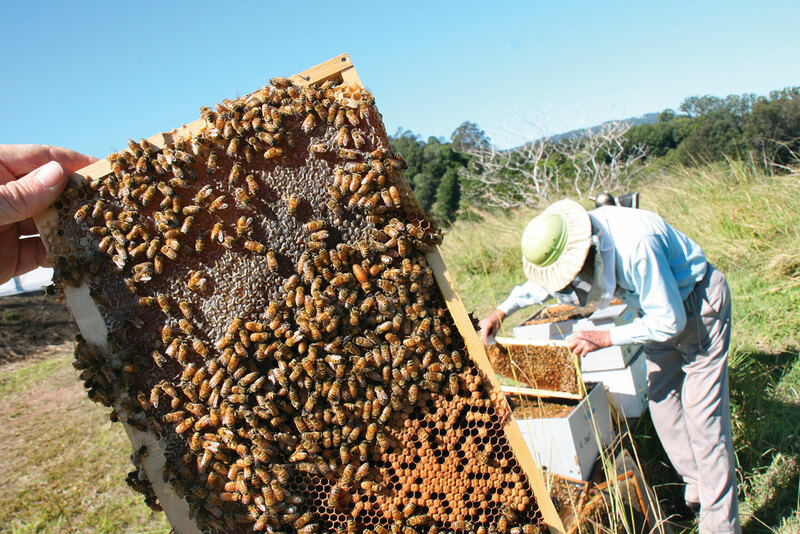 This is Glenbo’s first ‘Bee Selfie’ – with a beautifully framed Queen in the fore, and a beautiful Dad in the background. 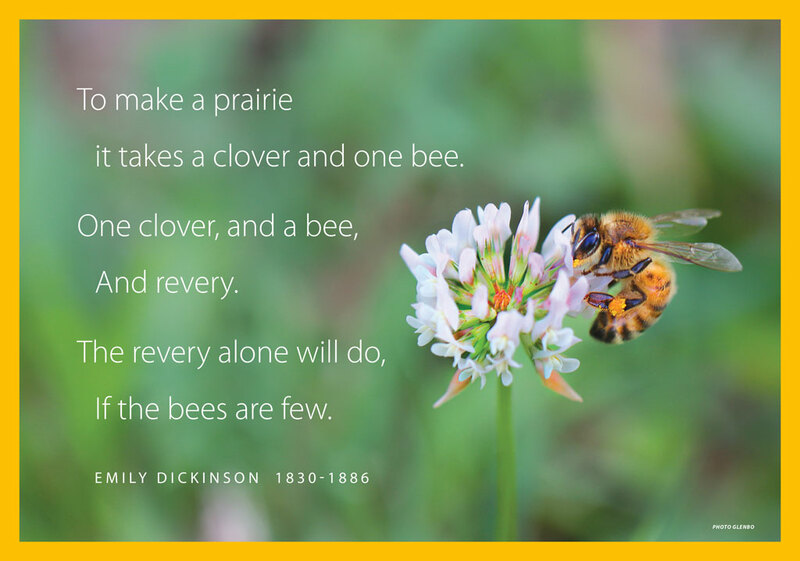 ‘For over 20 years now, I have explored bees alongside my Dad, Athol, and shared in his observation, his wisdom, his patience, and his willingness to remain on par, with both myself, and with his beloved and respected bees. ‘And you know what? 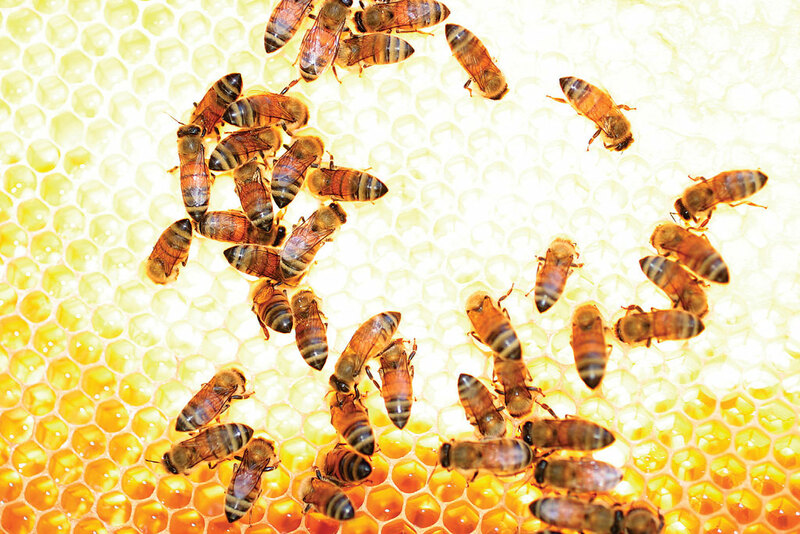 Over the years, I observed too how the world-of-bees learnt to love and respect him as well.